Fans of world-famous taxi app, Uber, can now get around by UberX in Zagreb, Zadar, Split, Sibenik and Dubrovnik. 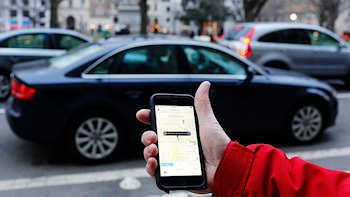 Launched in Zagreb at the end of 2015, in Split and Dubrovnik in mid-2016, Zadar in late 2016 and Sibenik in 2017, Uber has provoked strong protests from traditional taxi drivers but has been welcomed by residents and visitors. Nevertheless, the expansion continues. Services have also become available from the popular festival sites of Tisno and Zrce to Zadar, Split and Dubrovnik. There's even a pioneering new service, Uber Boat. Note that UberX is available in Dubrovnik only during the high season from June to October. In Zagreb, Uber has unveiled a new service called UberSelect which allows passengers to choose newer, larger and more comfortable cars at a nominal extra cost. For those unfamiliar with how Uber works, it's simple: download the app, set up an account using PayPal or a credit card and start arranging rides. Your credit card is debited automatically; no cash needs to change hands. This is a substantial advantage for those arriving in Croatia without kuna. It's also possible in Croatia to pay the driver in cash if you wish as long as that option is chosen under "payment method". And, the prices are cheaper than taking local taxis. Rides from popular destinations have a fixed rate. For intra-city rides the cost of UberX is 6Kn starting fare and then 3Kn/kilometre and .45Kn per minute. The minimum is 10Kn. For UberSelect the price also starts at 6Kn but then costs 4Kn per kilometre and .60Kn per minute. Uber drivers in Croatia (unlike other locations) are licensed professional drivers and fully insured. At the end of the ride you will be emailed a receipt for the cost of the journey. Tipping is unnecessary.